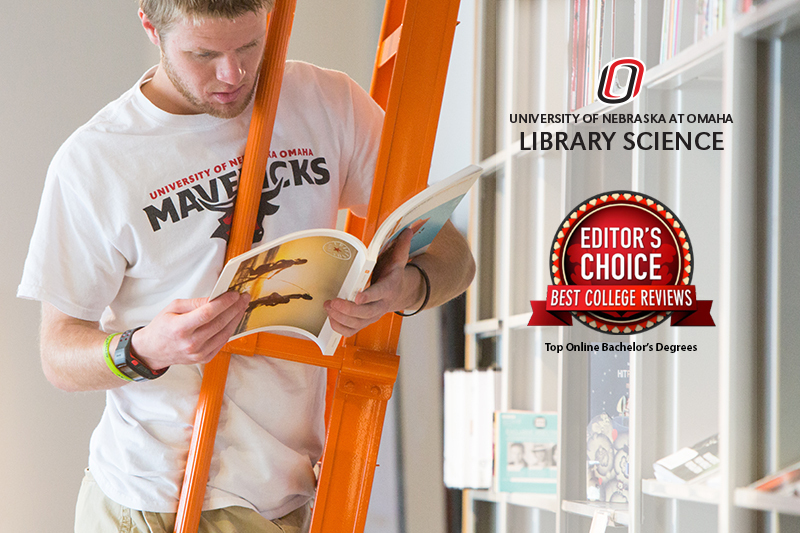 Omaha – The University of Nebraska at Omaha (UNO) recently received the recognition of #1 Online Bachelor’s Degree in Library Science, as ranked by Best College Reviews. The methodology used by Best College Reviews editors to determine the ranking was based on tuition, customization options within the degree program, both in content and format, and overall “wow” factor. The UNO Library Science program was chosen for its diverse, comprehensive curriculum and almost 100% job placement rate. Graduates of the program go on to work as academic librarians, technology coordinators, media archivists, public library directors, and more. "The fact that we offer this program in an online venue allows us to meet students anywhere, all over the world. This high-caliber program is not only for the students of Omaha, it’s for students everywhere," explains library science faculty member, Erica Rose. Student Jamie Wratchford lives out-of-state and highly praises UNO’s online delivery system, "I can’t imagine why anyone would want to go to school any other way. I can’t believe I get to make my dreams come true and go to school from the comfort of my living room while working and living hundreds of miles away from my college. This is incredible." The accommodating nature of the courses has allowed student Rosalie Brown to return to college after her medical needs conflicted with traditional college courses. "I’ve had epilepsy since I was six. When I went to college it got bad. Eventually, I had to quit and that became a source of insecurity for me." Through UNO's program, Brown is now forging ahead towards her dream of teaching. 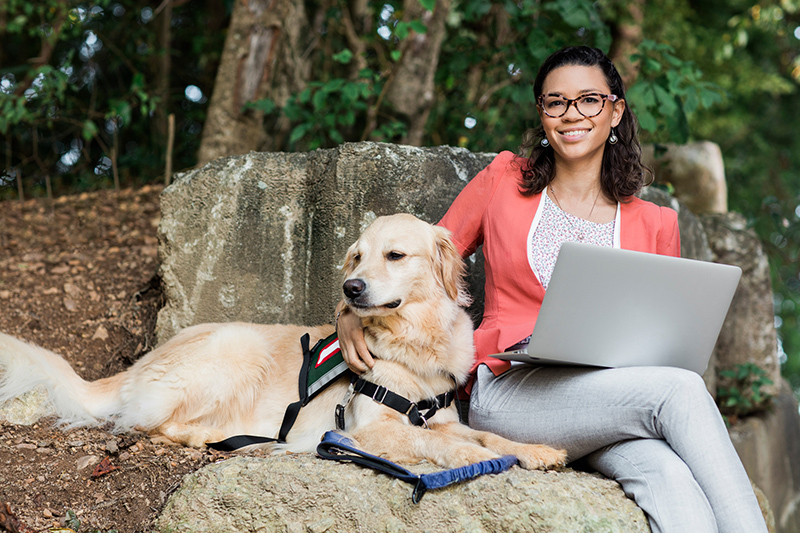 "After receiving a seizure response dog, I was able to start working as a library assistant. As a former elementary education major, it became clear I could still teach as a librarian, but in a quieter, calmer environment. Due to my seizures, I’m unable to drive myself, so an online bachelor’s program in library science was necessary. Now, I’m getting a quality education that works for my circumstances, and I’m fulfilling my dream." Another advantage of the UNO Library Science program is the quality coursework, which prepares students for careers in the 21st century library. According to faculty member Kim Gangwish, "You will learn not only the history of library science but future trends in the library world. You will learn the tools to help people connect to knowledge. The modern library is the heartbeat. A library is no longer four walls. It’s no longer a building. A library is reaching out to its community, to its patrons using technology." 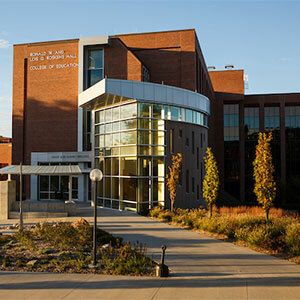 More information about UNO’s library science degree can be found at coe.unomaha.edu/ted.